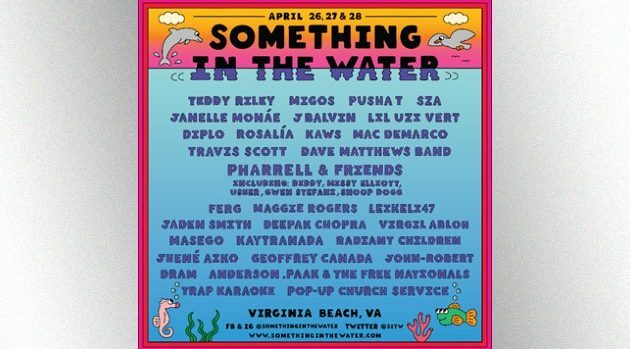 Courtesy Something in the WaterPharrell William‘s new festival Something in the Water, planned for April 26-28 in Virginia Beach, VA, has added even more big names to its lineup. Diddy, Usher, Gwen Stefani and Snoop Dogg have joined an already stacked lineup which includes Missy Elliott, Migos, SZA, Travis Scott, Janelle Monae, Anderson .Paak, Pusha T and more. Legendary producer Teddy Riley will also play a set.